There were enough pieces to fill 25 laundry baskets. 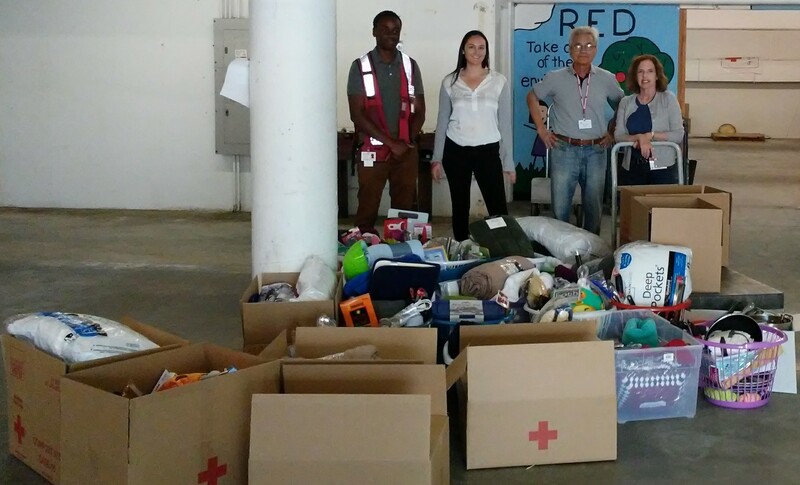 Two partner agencies already notified American Red Cross Los Angeles Region International Services workers of their interest in receiving a few baskets for refugee families cleared for resettlement in the United States. 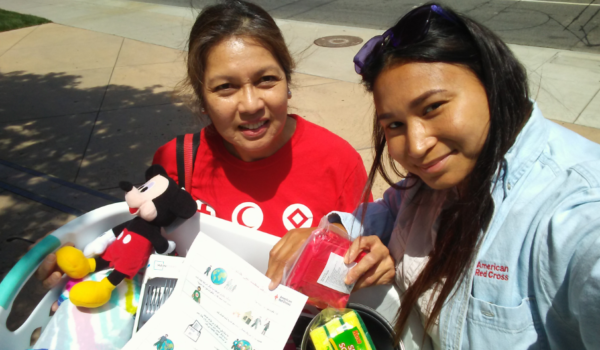 Once a year, Red Cross Youth Service Clubs throughout Los Angeles County spearhead a Refugee Welcome Basket Drive to assist the Los Angeles Region’s International Services Program. Members collect a variety of new, unopened and unused household items to help lessen the stress faced by families finding a new home. “In these welcome baskets, we also include Red Cross first aid kits, preparedness items, and information about the American Red Cross International Services Restoring Family Links (RFL) Program—a free service to reconnect families separated by crises who have no other means of communicating with one another,” according to Basket Build project coordinator, Carly Klein. In the United States, UNHCR estimates that since 1975, 3 million refugees have resettled in the country. In 2017, at many as 24,500 refugees resettled in the U.S. (https://www.unrefugees.org/refugee-facts/usa/). Arriving and adapting to a new environment will include assessing immediate needs toward self-sufficiency. Once that need is met—or along with that–newly-resettled families ponder education, health care, and learning more about their local community. Recently, caseworker Klein went to the Southern California office of the IRIS resettlement agency to meet two newly-arrived families: one from Honduras and another from El Salvador. Welcome baskets in hand, Klein got acquainted with family members and offered a brief cultural presentation to familiarize them with common hazards like home fires, earthquakes, wildfires—and how they can best prepare for these natural and man-made disasters. 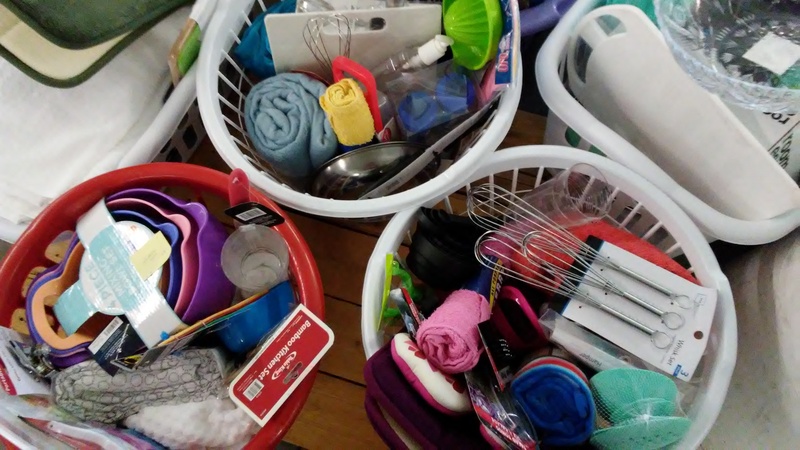 The welcome baskets are a drop in the bucket of vocational, economic, and general support newly-arrived refugee families require to rebuild their lives and thrive. As a member of the Refugee Forum of Los Angeles, the American Red Cross Los Angeles Region continues to assist vulnerable populations–and will be a participating agency on World Refugee Day on June 20, 2018. For involvement opportunities with Red Cross Youth Clubs or International Services, visit www.redcrossla.org.